The coconut oil detox is a popular and healthy way to cleanse your body without unpleasant side effects. 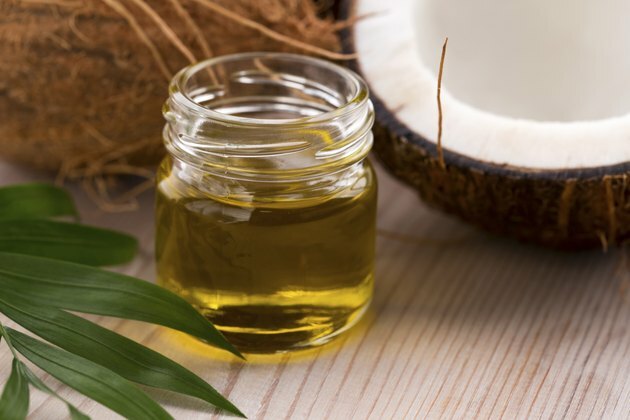 According to dermatologist and world-renowned healthy-aging expert Dr. Nicholas Perricone, coconut oil is a potent cleansing oil that also provides plenty of natural energy. Coconut oil is composed of mostly medium-chain fatty acids, which are transported directly to your liver to be used as energy. This kind of fat is ideal for a detox, since it can give you the energy you need when consuming less food. Coconut oil is believed to help reduce cholesterol and blood sugar, as well as help eliminate parasitic and microbial infections. Doing a coconut oil detox is simple, but you need to follow some basic guidelines to make sure it is done properly. Take half a teaspoon of coconut oil if you’ve never taken coconut oil before. Take it 30 minutes before breakfast. Work your way up to 1 to 2 tbsp. before meals three times every day. It might take a week or two for you to feel comfortable taking the coconut oil. Once you feel comfortable taking the oil, you can begin the detox. Replace all your meals with coconut oil for three to five days. Begin your day with 2 tbsp. of coconut oil and take 1 to 2 tbsp. every few hours throughout the day for a total of 14 tbsp. per day. Make sure to drink eight to 12 glasses of water during your detox. Additionally, avoid strenuous physical activities. You can do light household chores and brisk walking but not activities that will make you sweat. Introduce a healthy nutritious diet after undergoing the coconut oil detox. Avoid eating meats, fried foods or sugary pastries for about one week to avoid adding stress to your digestive system. Eat two to three servings of fresh vegetables and fruits or dried or canned fruits in their natural fruit juice. These include all citrus fruits, apples, nectarines, prunes, berries mangoes and pineapples. You can also have a slice of whole grain bread but not more than two slices. Use organic, extra virgin coconut oil for your detox. This kind of oil must not be deodorized and should be unbleached and unrefined. This ensures you are getting the full natural benefits from the coconut oil. You can find organic, raw, extra virgin coconut oil at any large chain food store. However, most Asian supermarkets may offer it cheaper. This article is not a replacement for seeking medical advice from your physician or health care professional.